One area of the home that has come a long way in the last few years is outdoor living spaces. Outside once meant a strip of lawn and a hills hoist, or the few lucky ones had a small patio and a pool. Today we often think about our outdoor areas in much the same way we do our indoor rooms. You can include a full outdoor kitchen, a dining area, a lounge area … You can even have an outdoor space for snoozing on a daybed or in a hammock. 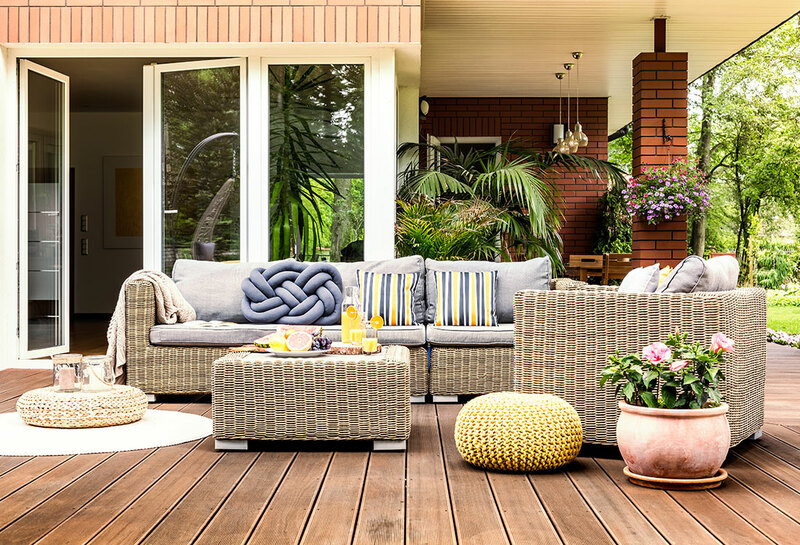 Regardless of how much space you have to utilise, you can always incorporate outdoor living into your home design. Here is a look at the most popular inclusions and tips on how to include them in your home design. 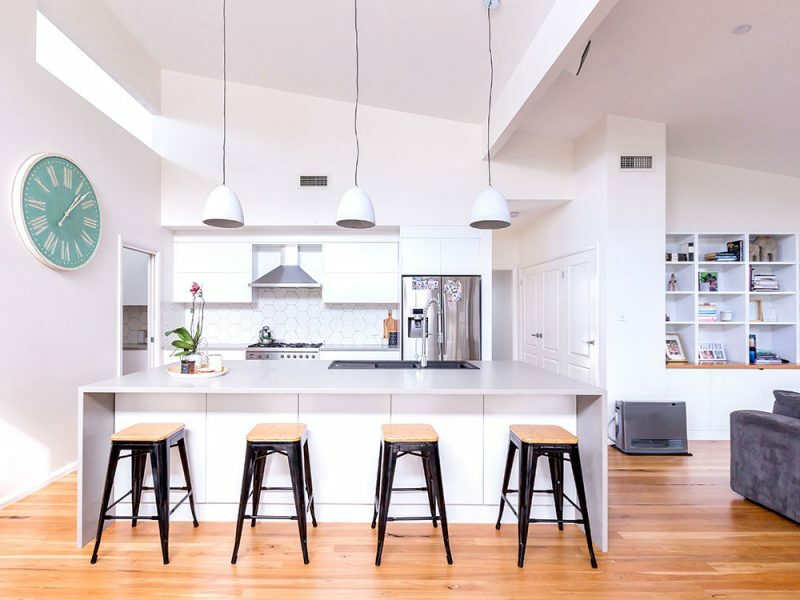 What was once the domain of a lone barbeque now often features a full kitchen fit-out. You can still incorporate a barbeque, or you can go for a full cooktop and oven. Add a sink, a refrigerator and generous bench space and you’ll be fully equipped to enjoy an outdoor lifestyle. Outdoor kitchens can be large or small, depending on the space you have available, and siting them undercover is the best option for maximum use. It protects you and your cooking from rain and also ensures that the only thing sizzling in the summer heat is the sausages. You can include other, more outdoorsy, features such as a pizza oven or a smoker. And adding storage is a great idea to ensure that you have everything to hand and don’t have to run inside constantly. Perhaps go all out and include wine storage. Why not? Large or small, when designing your outdoor living it’s not a bad idea to site your outdoor kitchen within easy reach of your indoor one – it’s inevitable that there will be a little to and fro between the spaces. Eating outdoors is one of the joys of including living space outside. Make your outdoor dining area as generous as space allows for entertaining, but ensure it’s a convenient space for regular family meals too. Siting it near your outdoor kitchen makes sense for ease of serving meals, and having it undercover is obviously the best option. 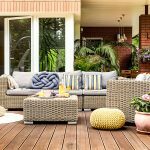 A popular idea is to have a few areas that you can utilise for outdoor meals – a small terrace for a sunny morning breakfast, a larger area for evening meals and perhaps an area for casual poolside meals. Outdoor sitting areas are no longer the domain of vaguely uncomfortable chairs and rickety tables. The range of furnishings available for outside is almost as varied and luxurious as those for your living room. Integrating an outdoor living area with your indoor living areas makes a lot of sense in terms of maximising usage and available space. Consider glazing that opens up to your outdoor area and a flow of seamless flooring. In essence this creates one large indoor/outdoor area, perfect for casual summer living. 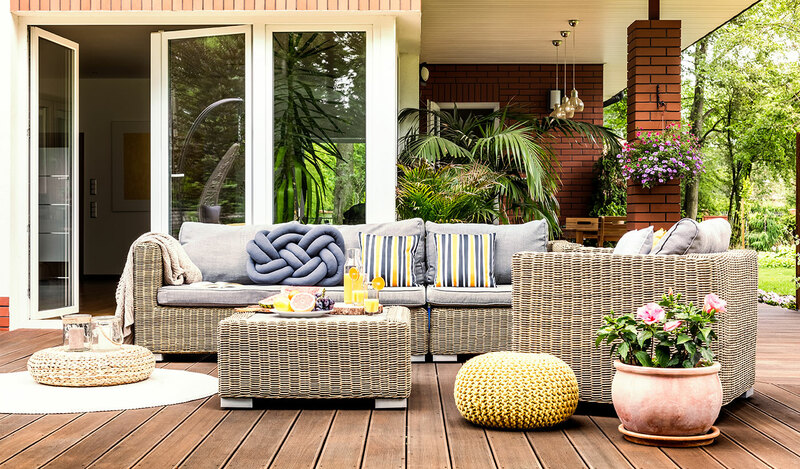 Outdoor living areas can include everything your indoor space does. Flat screen televisions are easy to hang anywhere, including outside as long as they’re in an enclosed space. Ideally this means undercover, but you could also house your tv in a custom, waterproof unit. Another trend in outdoor living is fire places. There is a huge range of options for outdoor fires – simple firepits, wall hung gas fires or a full fireplace with chimney. All options are great for creating a focal point for your outdoor living and ensuring people linger and enjoy the space in all seasons. Establish what the traffic patterns of your new home and outdoor areas will be. You want to ensure that access is easy, that permanent features are placed conveniently and don’t hinder movement around your home. Smaller spaces can work just as well as large but perhaps need more forethought. If you don’t have space for an outdoor kitchen and dining area, consider opening up your indoor kitchen to an outdoor bar with seating. This can be just as satisfying while taking up a fraction of the space. The same goes for living spaces. 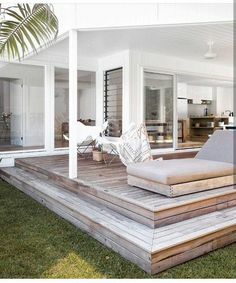 A modestly sized outdoor area that can open up seamlessly to the indoors will see a lot more use than an isolated, and inconveniently small, area. 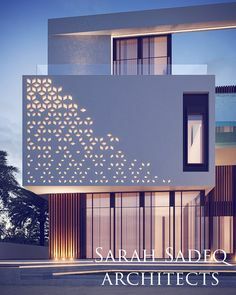 Also consider having a range of small terraces leading off different interior spaces for different uses – a breakfast terrace off the kitchen, or a verandah with a daybed off the master bedroom. 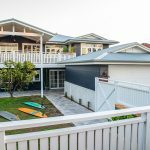 Think about your outdoor living requirements at the time of planning your home. Outdoor areas should be subject to the same thought process as your interiors spaces with regards to design, orientation, materials and buildings codes. And well integrated outdoor living can add significant resale value to your home, not to mention the lifestyle benefits you’ll enjoy. What is a “Sustainable Home”? A covered platform deck offers protection from the elements. 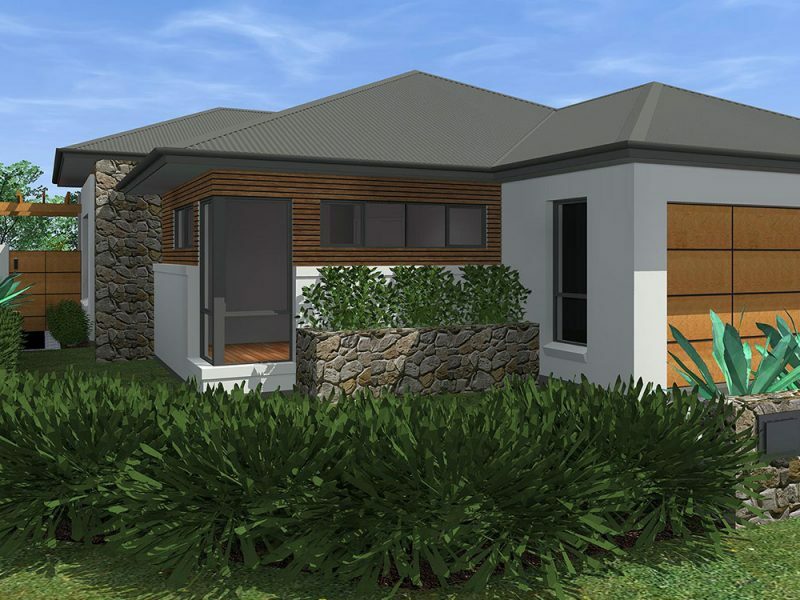 Etchells Building Design is a family owned business specialising in residential design. 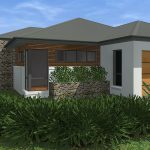 We provide a complete and professional design service for home owners, property developers and building companies, covering Sydney, Central Coast and Hunter regions. © 2018 Etchells Building Design.